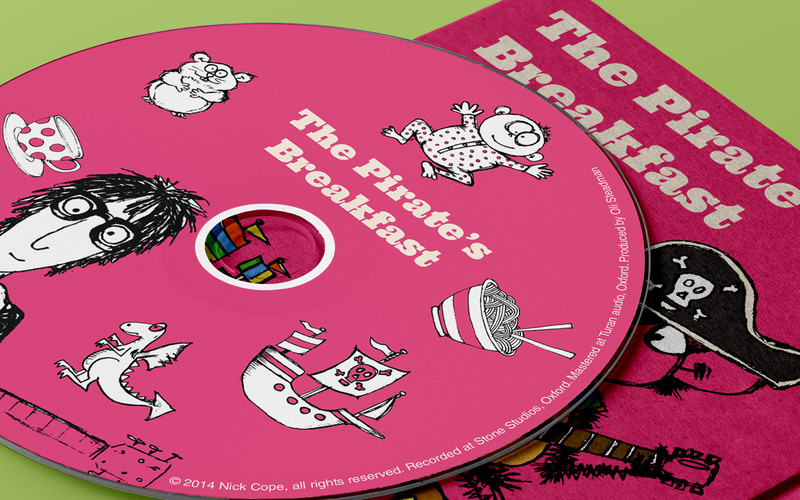 The long awaited 4th CD from Nick was graciously received by children and parents alike, with a quirky mix of Nick's drawings, beautifully recreated, and his trademark typographical/colour style. It was a pleasure to continue working with Nick and further the style we helped develop with the previous releases and associated artwork. Nick Cope is a professional singer and songwriter, and has over 20 years of experience in music, including international success as lead singer and songwriter with The Candyskins in the 1990s. Now a solo performer, Nick writes and records music for children from 0 - 8 years and has established a strong following of little people (and not so little ones) from all over the world.